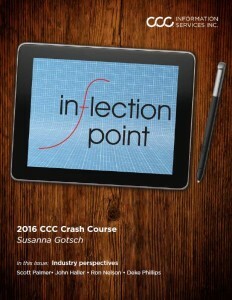 Calling both the auto insurance and collision repair industries at an “inflection point,” CCC released its annual 2016 Crash Course report on Tuesday. As the phrase (quoting Andy Grove of Intel) indicates, both business are about to hit a challenging but also potentially lucrative moment of serious technological disruption. 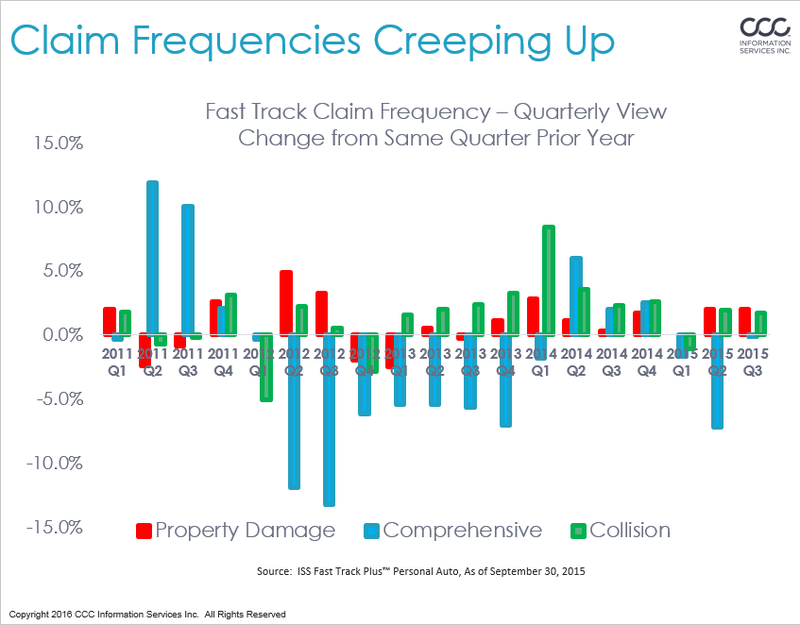 With claim frequency and loss costs having returned to pre-recession amounts, consumers buying newer and more technologically advanced vehicles and miles driven up above pre-recession volume, things should get more and more interesting for repairers. In 2015, 48 percent of all CCC-tracked claims were for vehicles at least six years old, or 52-48 in favor of the newer models. 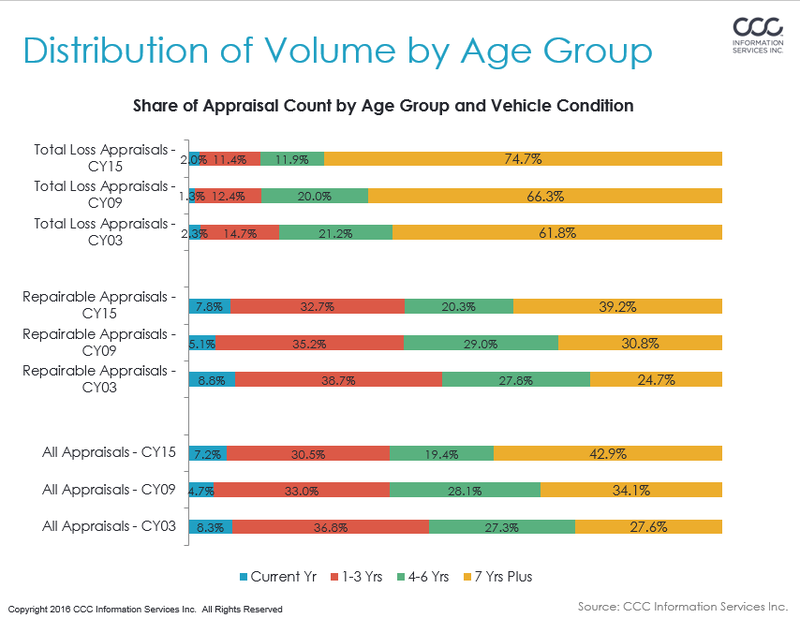 But by the end of 2016, CCC anticipates estimate volume will turn at least 58-42 in favor of cars 0-5 years old. With frequency anticipated to stay at current higher volumes, that means you’ll see them. “These will be MY 2013-MY 2018 vehicles, which based on the vehicle changes we have seen to date, as well as the further changes made so far in the new MY 2016 redesigns, these vehicles will be increasingly complex in their construction, and will offer many more options such as automatic braking, crash warning or avoidance systems, parking assist, lane departure warning, and more,” Gotsch wrote in a preview. Check out the annual report and stay abreast of these and other macro-level trends which could affect your shop — before you start to accelerate on the other side of the inflection point. Also, continue to check Repairer Driven News for more coverage of some of the details in the study.